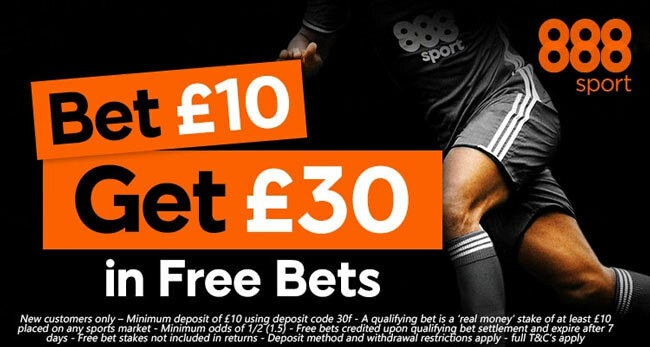 Manchester City take on Bournemouth at Dean Court on Saturday's early kick-off in Premier League, aiming to bag maximum points and keeping pace at the top of the table. 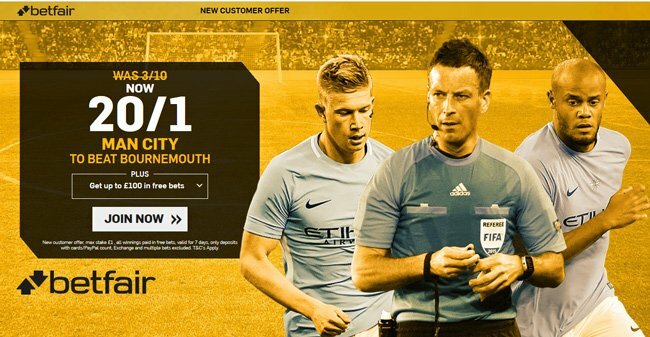 This article contains our Bournemouth v Man City betting preview with predictions, betting tips, starting lineups, team news, enhanced odds, special promotions and no deposit free bets on this weekend's football! Bournemouth have lost both of their opening two Premier League games this season, failing to find the net in both occasions - 1-0 at West Brom and 0-2 at home against Watford. The Cherries returned to winning ways in midweek as they beat Birmingham 1-2 in the Carabao Cup. Eddie Howe’s side have lost all four of their Premier League meetings with Man City with a combined scoreline of 1-15. 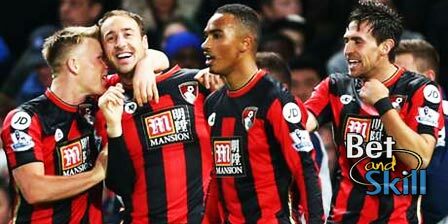 Bournemouth have no fresh injury concerns ahead but Eddie Howe will again be without Simon Francis so Adam Smith should remain part of an unchanged back four alongside Nathan Ake, Steve Cook and Charlie Daniels. In attack, Jermain Defoe earned a first start since his return to the Cherries in the cup and will hope to get the nod over Benik Afobe at the weekend, with Joshua King keeping his place in the support striker role. Junior Stanislas and Callum Wilson remain out. Manchester City have looked far from convincing in their opening two games. They opened their campaign with a 2-0 victory at Brighton but lost their 100% record in an absorbing match against Everton on Monday night as they only managed to earn a 1-1 draw in a game that saw right-back Kyle Walker was controversially sent off just before half-time. Many believe that this season's Premier League title race will come down to the two Manchester clubs, but City are already in a position where they are under a small bit of pressure to keep up with their local rivals. Pep Guardiola will be without the suspended Kyle Walker while Fabian Delph, Ilkay Gundogan and Benjamin Mendy may not be rushed back this weekend, with a return probably more likely after the international break. Danilo should start on the right, while Leroy Sanè and Raheem Sterling are in contention for a starting berth on the other flank with Bernardo Silva also aiming to come into contention. Up front, Sergio Aguero and Gabriel Jesus will lead the line while Fernandinho will play as defensive shield in the 3-1-4-2 starting system. The likes of John Stones, Nicolas Otamendi and Vincent Kompany will form the three man backline. "Bournemouth v Manchester City predictions, betting tips, lineups, odds and free bets (Premier League - 26.8.2017)"